On arrival at Amritsar Railway Station you will be greeted by our representative. Check in the hotel.Evening visit Wagah Border which is famous for its 'Retreat' ceremony at the time of sunset. During evening armed soldiers, both Indian as well as Pakistani, fully decked in their uniform enacts a particularly hostile parade marked by lowering of their respective flags and closing the border gates. The changing of the guards and the ceremonial lowering of the flags is carried out with great pomp and fervor. After breakfast. 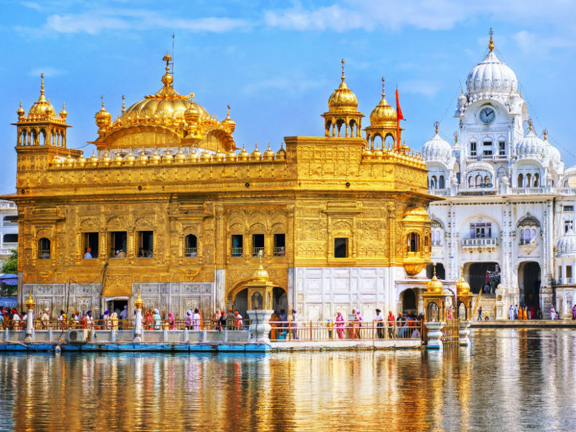 Visit Golden Temple the hoiliest shrines for the Sikhs. 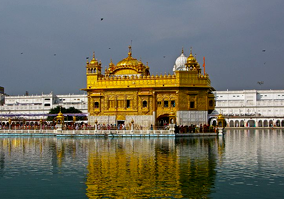 The architecture of Golden Temple is a blend of Hindu and Muslims architecture. Visit Jallianwala Bagh- which is just the walking distance from the Golden Temple. Jakianwala has a special importance attached to it with respect to India's freedom struggle On April 13, 1919 on the aucpicious day of Baisakhi hundreds of men,women and chidren sacrificed their lives in front of ruthless firing of the british forces. 50 % of the total package cost must be deposited as an advance in our company’s account to confirm the package. Remaining 50 % of the package cost will be collected on arrival day. One Time Advance Payment: It can be done through our website www.bharatbooking.com by using Net banking/Credit Card/Debit Card and Wallets via EBS, CC-Avenue, HDFC gateway etc. Cash Deposit option at Bharat Booking’s Delhi office i.e. 21 & 22 Parshvnath Metro Mall, Near Kashmiri Gate, Metro Station Gate No 2, New Delhi. Cash deposit in any of our Bank Accounts (HDFC, PNB, ICICI, AXIS, SBI, BOI, SBP and Yes Bank ). There is no contract between Pilgrim Packages and the client until the company has received initial deposit amount of specified tour package. booking to any of your friends/ relatives.